Tirol’s largest lake has a length of 9.4 km and can be accessed from any point. Summer holidays at Hotel Auszeit**** in Pertisau offer an abundance of activities to engage in. Whether you’re an athlete or leisure hiker, whether you prefer water sports or exploring the mountains, the region offers a perfect combination of enjoyment, sports and recreation. Discover the region on more than 500 kilometres hiking and running trails in all ability levels. From leisurely bike or e-bike tours to adventurous single trails or forest routes – the region is perfect for cycling enthusiasts. The 18-hole golf course Achensee is nestled between the Karwendel mountains and Lake Achensee. Hotel Auszeit***** is member of the Golfclub Achensee and just a few minutes walk from the club house. Our guests receive 20% greenfee discount. 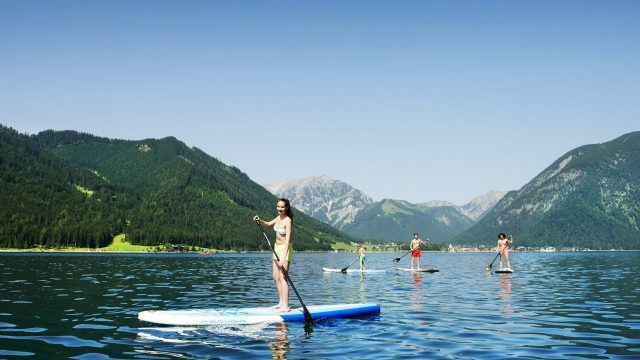 Lake Achensee offers perfect conditions for all kinds of water sports: swimming, sailing, surfing, kite surfing, standup paddle boarding and much more. 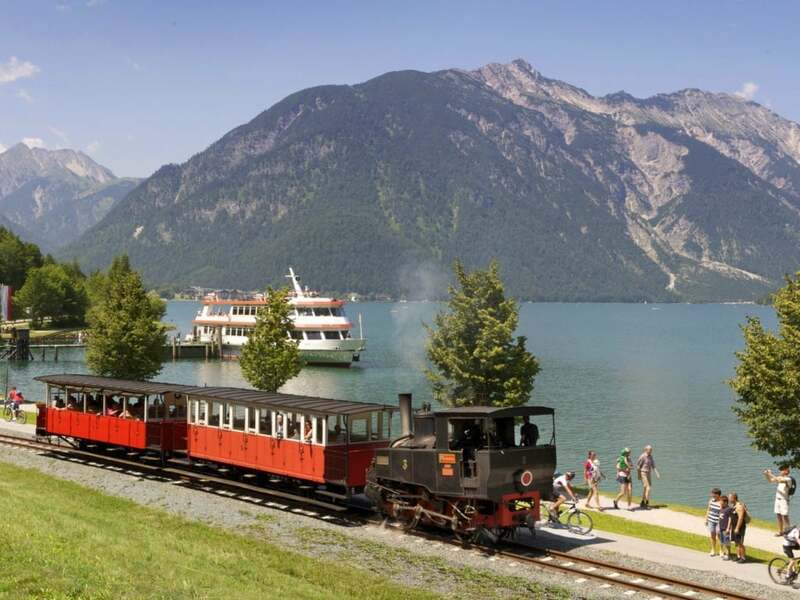 Discover the very best of Lake Achensee with the Achensee Holiday Card: Use the cable cars, Achensee ships and steam cog railway as often as you like, and in addition visit various museums and attractions surrounding Lake Achensee. The Achensee Holiday Card is available at any of the local Achensee Information offices on presentation of your visitor card.